A wonderful fashion trend has emerged over the last few years, taking different style bands and wearing them as stackable rings. Stackable bands are a great to express your personal style with jewelry. You can mix different colors of metal, shapes of gemstones, mix different gemstone colors, and varying widths of ring to make an interesting personal fashion statement on your finger. Sometimes you may be of the mind to wear one ring by itself, other times you may want to stack all five together in different orders. However you feel on a certain day, stackable rings can change to fit your mood and outfit. Stackable rings can be plain bands with a beautiful engraved design or plain bands with nothing on them. Rings can include gemstones of any color such a sapphire, ruby, amethyst or whatever your favorite may be. 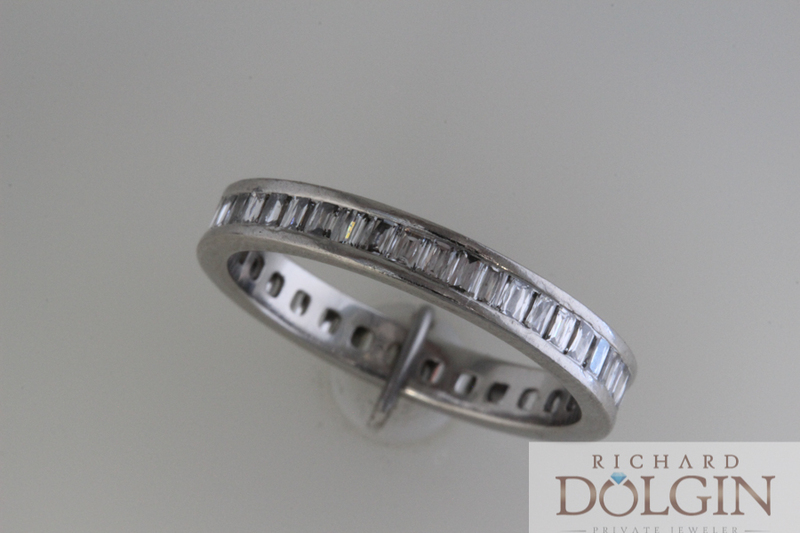 Depending on the length of your finger you could even mix wider bands with narrow bands. The choices in stackable rings are infinite and an individual can get as creative as they would like. Stackable rings also lend themselves to be a wonderful custom project using inherited stones or stones from jewelry that you don't wear any longer. You can mix and match these stones to come up with ways to repurpose jewelry that is sitting in a drawer. We have done many custom projects using gemstones from the past to create a new fashion statement. Here are some images of custom stackable bands. We have great sources for many unique stackable rings. There are many artisans out there making delightful rings that we can special order in your exact finger size. Many of the hand engraved bands in white, yellow and rose gold are fun and can add a real flair to a set of stackable rings. 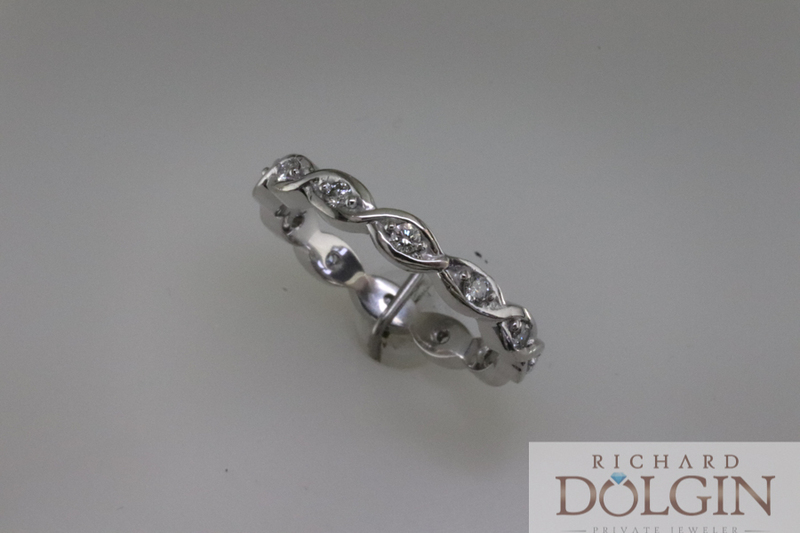 Whether you are looking for a interesting anniversary gift or want to turn stones from the past into new wearable rings, stop in to Richard Dolgin Private Jeweler to view our selection of stackable rings.